Kumi Nail Beauty Bar was created with the intention to be a unique nail experience that is flawless, fresh, progressive and engaging. We value you, we value our estheticians and we value a clean, relaxed, fun atmosphere. Kumi Nail Beauty Bar adheres to certain policies to ensure Be-YOU-tiful experiences for you and our valued team of professionals. We welcome you! All first time clients will be booked and charged as NEW SETS -Our priority for first visits is to ensure the foundation of the nails are done properly and 100% our work. To ensure this we must remove any gel or acrylic product currently on your nails and start with a fresh new set. -We cannot guarantee nails unless we know they are built 100% with our products and done by our technicians. (From experience if we build on top of existing work, clients experience more lifting and breakages) - We can only guarantee one solid color with no design for first time visits due to the time it will take to build a strong nail foundation. ​For nail appointments to be considered NAIL FILLS vs NEW SETS we recommend nail fills to be done 3 weeks after your initial new set especially for longer nail extensions. Any longer than 3 weeks you may experience more lifting, chipping, and breakage. If more than 2 nails require fixing we will consider your service to be a NEW SET. Our nail technicians are constantly working at perfecting their craft and are always evolving their design skills to ensure they stay current and on trend. Please be mindful that any photos of designs can only be used as an inspiration to what will be created on your nails. Our nail technicians will always try their best to replicate designs but understand that this is not an easy expectation to meet. We will always do our best to communicate and work with you on creating beautiful, quality nails but if at any time we feel a client is being rude, disrespectful or dictating the process of how their service should be executed, we will refuse service. Customer satisfaction is of utmost importance to us. If you are not satisfied with our work please let us know before paying. We will make needed adjustments/remove extensions (minus color changes and designs, this has to be decided prior to application). 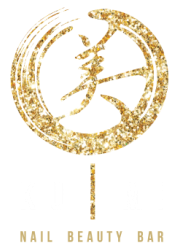 We want you to absolutely love your nails and your experience with each and every esthetician at Kumi Nail Beauty Bar. Please communicate with us and let us know how we can better your service. ​All French fade and quartz designs must be requested prior to your appointment so they can be booked accordingly. If we do not have you booked for this exact service we cannot guarantee there is enough time to accommodate this nail design. We value you, we value our work and want to ensure our nails last within reason of course. Our services are non- refundable but nail extensions and gel polish manicures/pedicures are guaranteed for 5 days only after your initial appointment; including breakages. Within the 5 days we will fix your nail at no charge. Repairs after 5 days for breakages, lifting, missing gems or striping tape will be $5/nail. Please remember, nails are jewels, not tools. Be kind to your nails and they will look beautiful for weeks after your service. • Regular polish services are not guaranteed once you leave the salon. ​• Any light polished or matte topcoat nails will require extra care from staining. When choosing these two options stained nails will not be included in complimentary fixes. All scheduled appointments have a 15 minute grace period. If you anticipate to be more than 15 minutes late, please call the salon to see if we can still accommodate your appointment. If there is insufficient time to do your service in full, we will need to reschedule your appointment. One late client can throw off our entire schedule and cause our estheticians to be late for their other booked appointments. Appointments can be cancelled 24 hours in advance by calling (780) 757-3103. We require at least 24 hours notice so we can have the opportunity to accommodate other clients on our waiting list. If you NO SHOW or do not call/email to cancel or reschedule your appointment within 24 hours we will require a non-refundable deposit upon booking your next appointment. The deposit will be used as a one time only credit towards your next appointment but will be forfeited if that appointment is changed again. To reserve appointments for 2-3 people, a deposit is required for each person. This applies to full nail sets and fills, manicures, or pedicure bookings. This deposit will be used as a credit towards your final bill, but in an event that you need to cancel or reschedule we do need at least 48 hours notice or the deposit will not be refunded. To reserve appointment spots for a pedi/mani party, a deposit is required. Upon the checkout of your appointment, this deposit will be used as credit towards your final bill. In an event that you may need to cancel or re-schedule your party, we require a minimum of 48 hours notice or the deposit will not be refunded. Please refer to the deposit amounts below.